Which other betting sites are like Betfair? Our team of Best Games Directory respects and protects your privacy. That happens any time, when you are using our services. We never collect any kind of information that may identify you as an individual person. We do not share or exchange such information with third parties. - you submit information about your website, article or press release, to our directory with all the relevant information; and you agree to place this information in the appropriate place on our site, and to provide such information during the website, blog, article, press release submission process. - we display advertisements provided by Google AdWord system. - we publish advertisements submitted to us by third parties, following the mutual agreement. We collect email addresses only to contact with our advertisers and website owners, who are intended to place a listing in our directory. We do not sell, exchange or pass on your personal details, websites details and email addresses, to third party companies or other email advertising companies, without your consent. We value your privacy and keep your email safe. We could use third-party advertising companies to serve advertisements when you visit our website. These companies may use information (not including your name, address, email address, or telephone number) about your visits to this and other websites in order to provide advertisements about goods and services of interest to you. Best Games Directory also contains links to websites operated by third parties. These links are meant for your information and convenience only. Links to third party sites do not constitute endorsement on our part of those sites and we are not responsible for the privacy practices of the owners and operators of those sites. We are also not responsible for the content of third party websites or website listed in our directory. 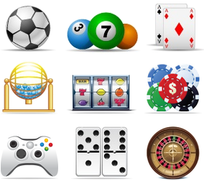 We are responsible only for the content of this directory, under domain name: http://www.best-games-directory.com. In case of any doubts, please contact us, by visiting Contact Us page. Thank you.